We are big fans of Whiteboard Fridays from Moz, recently a whiteboard by Brian Stewart caught our attention by highlighting the remarketing capabilities of Facebook. Yes, not remarketing on search engines but on Facebook, the platform historically viewed as never producing a return on investment. The session, “How to Build a Facebook Funnel that Converts” literally describes how to receive returns on your investment by building a funnel for content-seeking Facebookers. However, a note worth highlighting is how Facebook is competing with Google, not only as a news source, but as an advertising platform for businesses of any size. Facebook can advertise your “ad” (content) to interested customers, sending them to your website for more information and to complete an action (submitting email address for a sweepstakes, or even booking a reservation). Facebook is now capable of targeting these same website visitors with “custom” content in Facebook based off the action they took on your website. For instance, if the person filled out the form they receive content pushing them down the path to purchase, if the person went to your page and did not fill out the form Facebook will automatically know to push other “awareness” type content you have supplied. Thus, Facebook is pushing people down the path to purchase within their platform based on interactions with your website. And, don’t forget the size of Facebook, the platform has over a billion daily active users. So, what does this mean for you? Use content you have, or create new content, and test out Facebook re-targeting. There are a lot of avenues for advertising and Facebook is increasingly proving that it can compete with Google and show advertisers a ROI. I think this is a very useful post because it has a radical topic, a thing that marketers should disscus about. 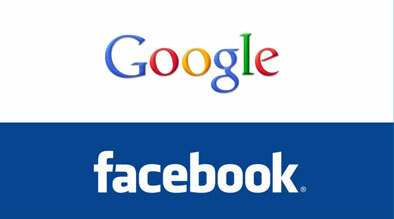 Should they invest still on google ads, or focus more on facebook. I’m talking from my own experiences, I think that facebook ads has taken more value these times, this can be bad for us since google will try to make more money by other ways (just suppose).